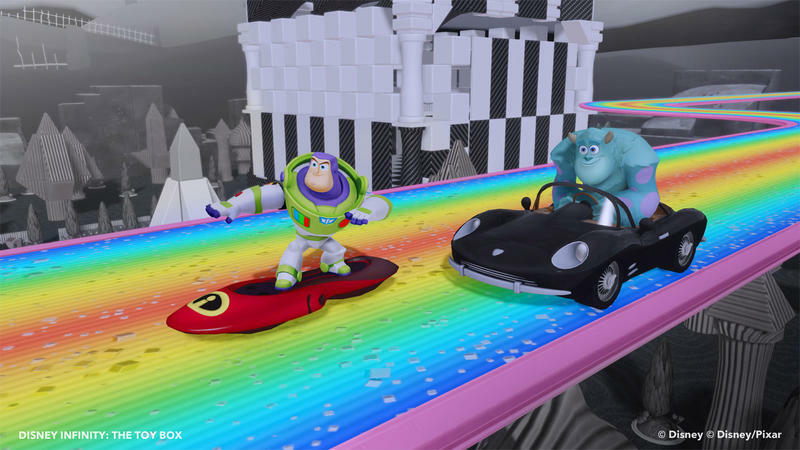 Disney Infinity review: The Magic We're Used To? 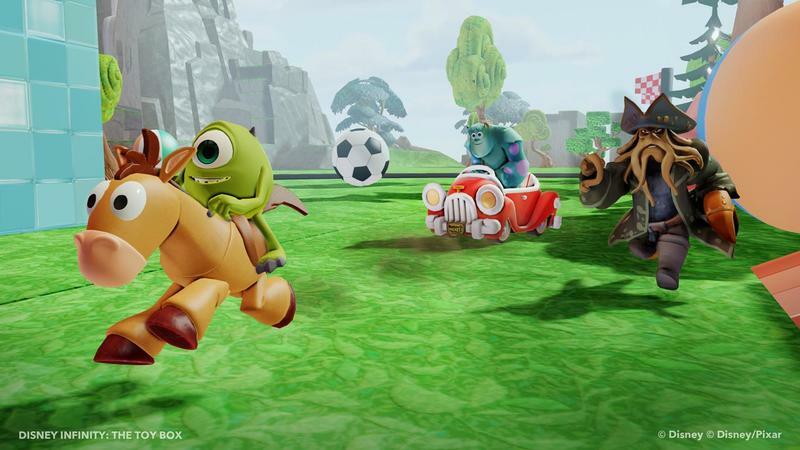 Disney Infinity is finally here, and for us Disney dorks, it brings with it a lot of promise. 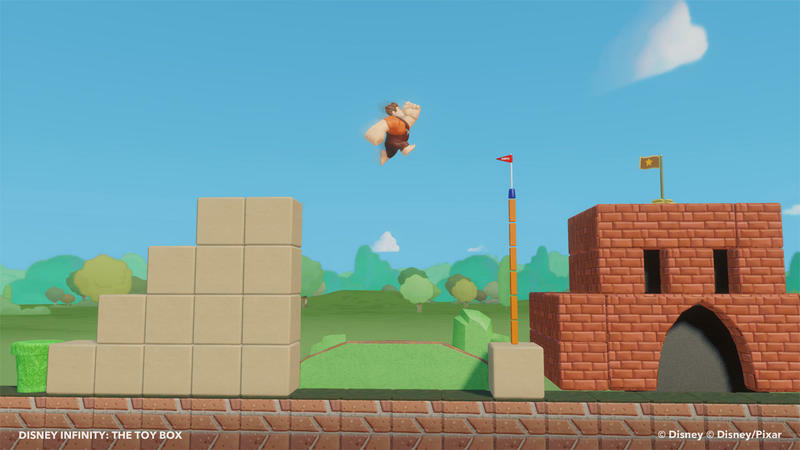 This game/fairly obvious money pit aims to deliver collectible figurines, limitless play (get it, Infinity?) and the ability to mix and match heroes and villains from our favorite Disney universes. But, is it all it's cracked up to be? Or, is Disney dealing a dud? 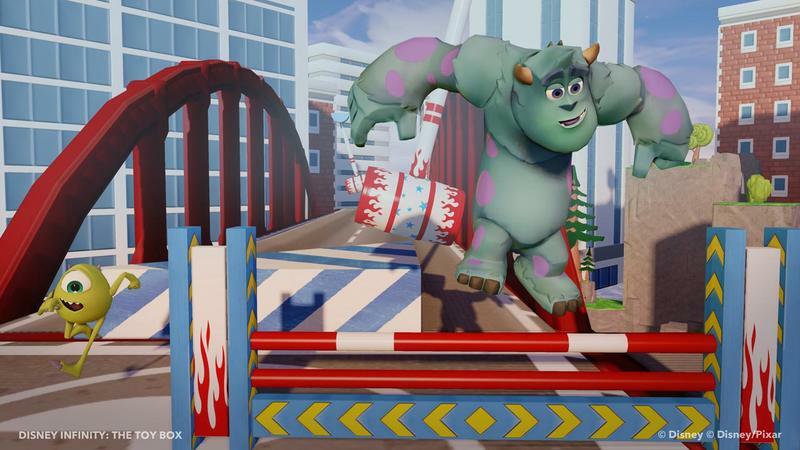 Well, Sean, I guess it's up to the two resident Disney nerds here at TechnoBuffalo to review Disney Infinity. We skipped Roy Choi, of course, but I'm almost certain that many Mickey Mouse fans in one place would have shattered the Earth. Yes, I would tend to agree you can have too many Disney fans in one place. 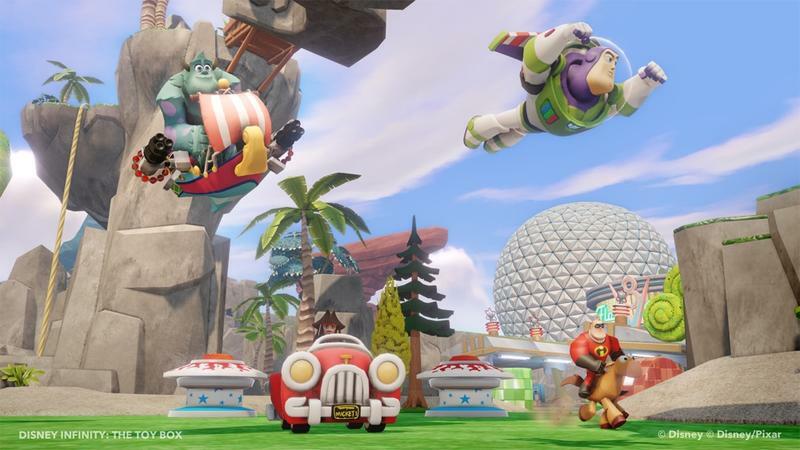 But here we are, Disney Infinity is in our hands, and while it definitely speaks to the Disney kid in all of us, how does it stand up as an actual game/platform? I think that's a wonderful place to start, and, really, it encapsulates everything that's right and wrong with this game. Sean, you did it all in one line. Let's talk about this purely as a game, first. 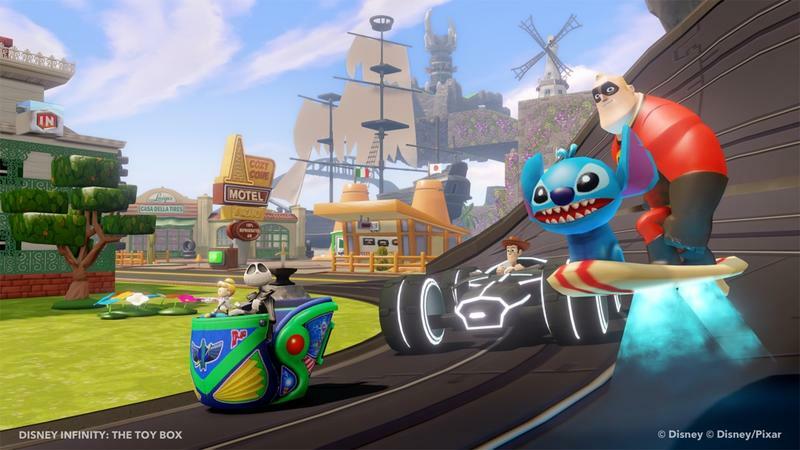 Disney Infinity is $74.99. 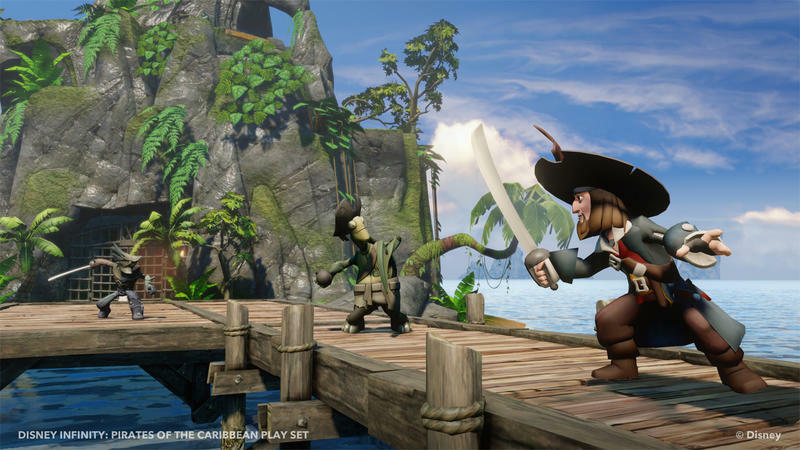 It comes with, essentially, three separate campaigns based on The Pirates of the Caribbean, The Incredibles and Monsters University. Each campaign can only be played with a specific character from its universe. 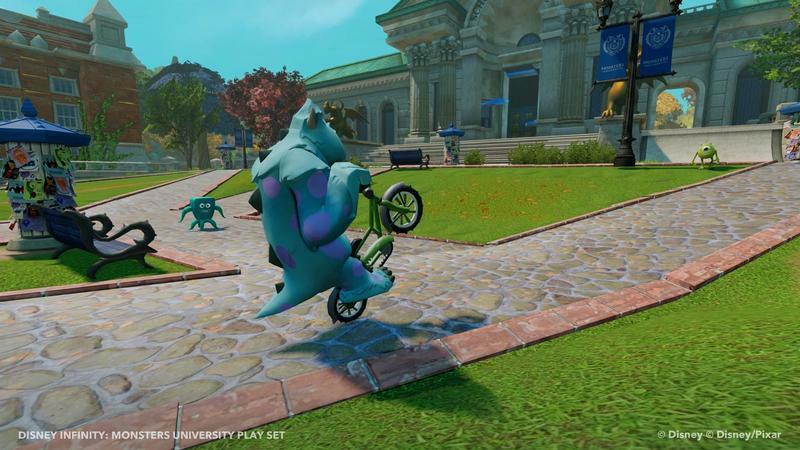 The starter set comes with Sully, Mr. Incredible and Jack Sparrow. These campaigns, Sean, what are your impressions? I'll say this for them, they are lot more fully textured than I expected. Yes, you use similar controls in each, but they are all very ditinct and true to their respective universes. 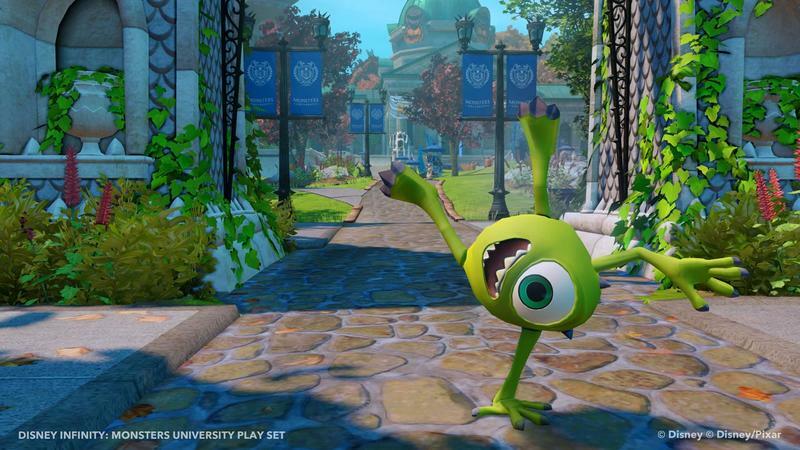 If we had only had The Incredibles and Monsters University to start with, you could have felt everything was just going to be bright and cheery, but The Pirates of the Caribbean campaign definitely changed things up and showed that the universes could go a bit darker while staying friendly. Sure, I'll give Avalanche Software that, they managed to make campaigns that feel distinct. However, I'll offer up that each campaign, on its own, really doesn't stand up as a very good game. They feel like movie one-offs, which I supposed is exactly what they are. They're kind of boring, they're not altogether enjoyable and they lack any real definining moments or set pieces. Down the line, these Play Sets (which is Disney's brand name for the campaigns) will check in at $39.99 a pop. You'll get the figures, which we'll adress, and the locales. There's a Cars Play Set available right now for that price, and it offers figures and a new campaign. For $40, Sean, I really don't like the way these campaigns run so far. They feel very much like cookie cutter efforts, and the big price tag required to experience them doesn't match the actual value. No, I don't think you are. While I didn't have a problem with these games that were included with the starter pack, I have had no interest in picking up any of the currently available Play Sets. That being said, I think it also has to do with the fact that I'm not a huge fan of Cars and I haven't seen The Lone Ranger. Now, hit me up with a Play Set for The Nightmare Before Christmas and all bets are off and I'm buying it day one, but is that more about the playability of the game, or the figures? I would have to say in my case I would be buying the figures and the "game," such as it is, would just be a bonus. Which so perfectly segues into one of the other sides of this Disney equation: the figurines. We're collectors, Sean. Like so many other geeks out there, we like to amass the physical stuff that goes alongside our favorite film, game and comic franchises. 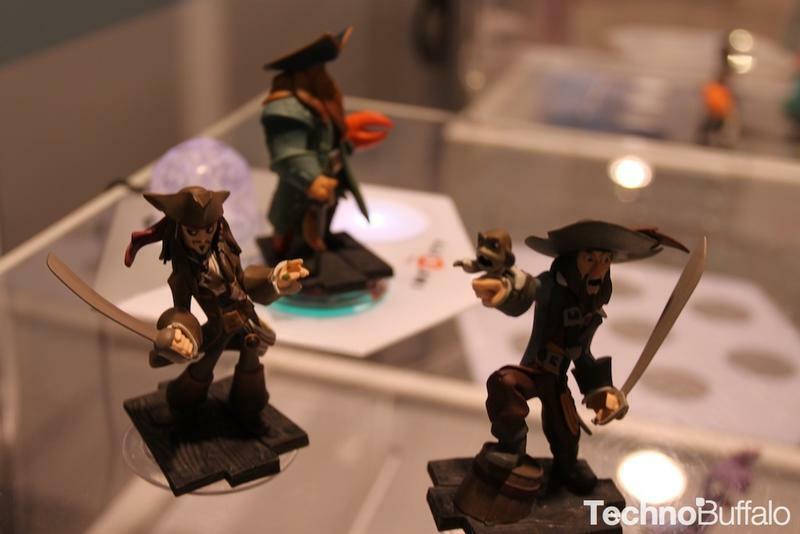 Is it any wonder, then, that we're so entirely in love with the idea of these franchise statues that go along with Disney Infinity? Not in the least. There will be people who have to collect every single figure released, and there will be those that just collect their favorite properties. 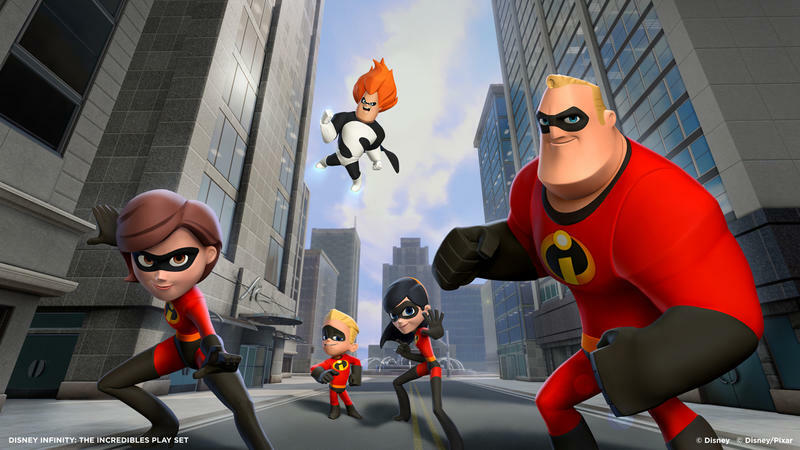 However, I did notice in the The Incredibles adventure they sure wanted you to pick up the rest of the figures. There is one vault in particular that you can't open until all five characters have touched it which means picking up four additional figures, or about $60 worth of extras, depending on where you shop. I'm not that nuts to go out and do that, but you know some folks will. And that brings me to my biggest question about this whole system: Is this actually a game, or is it just a way to get people to buy a whole lot of figures with the gaming side being almost an afterthought? Well, I think "afterthought" might be a touch too negative, but I do see what you're getting at. And, okay, I think they're more than just figures. Sure, in a way, this is clearly a very well devised money making idea for Disney. 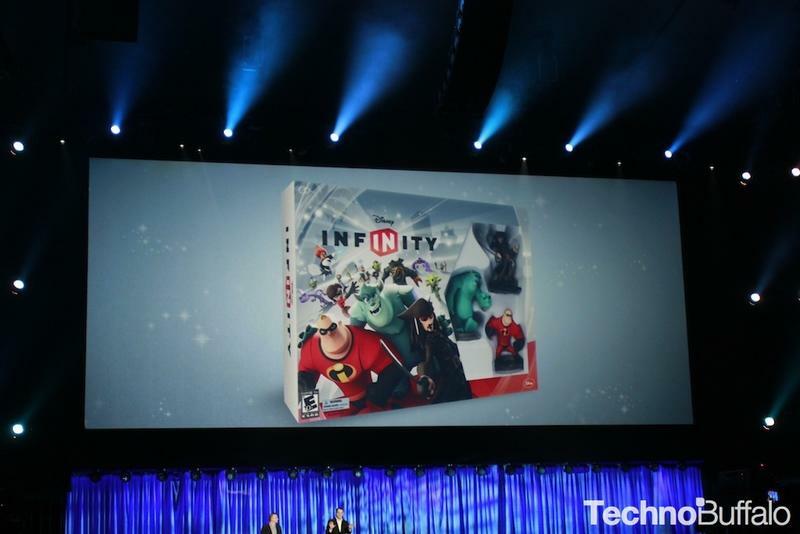 Disney Infinity is rather expensive, and it definitely offers up all the things that nerds and kids get excited about. However… The thing that, in my mind, makes the price of these figures and the bland nature of the Play Sets so forgivable is the Toy Box. Going nuts in the Toy Box. The Toy Box is what makes this whole thing worthwhile, Sean. 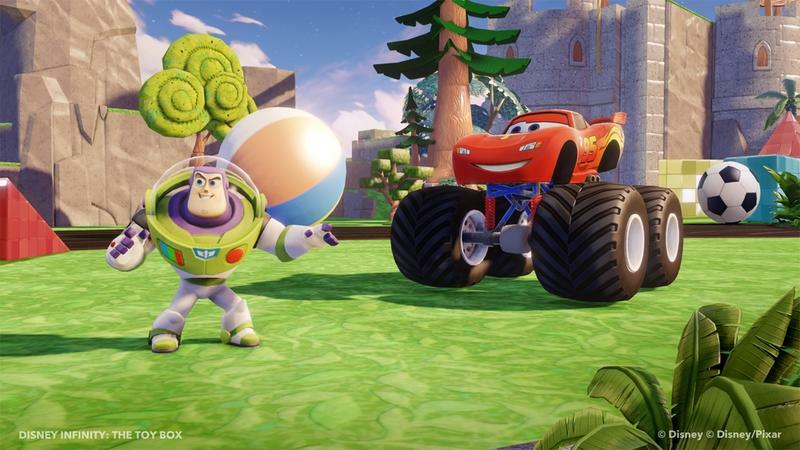 We have, basically, a toolset that lets us go completely nuts with Disney's greatest and most loved franchises and characters. 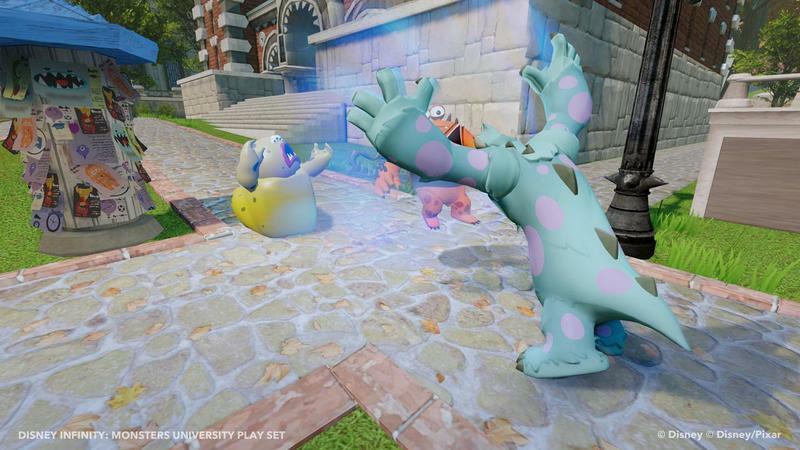 The figures and Power Discs give us access to more stuff to throw down in the Toy Box mode. 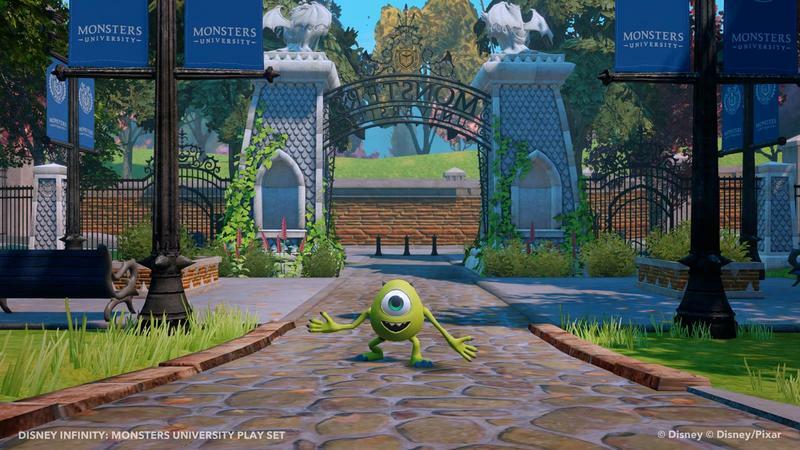 That, to me, is where Disney Infinity actually becomes a good game. I was wondering what your thoughts on the Toy Box were, and we are obviously on the same page. 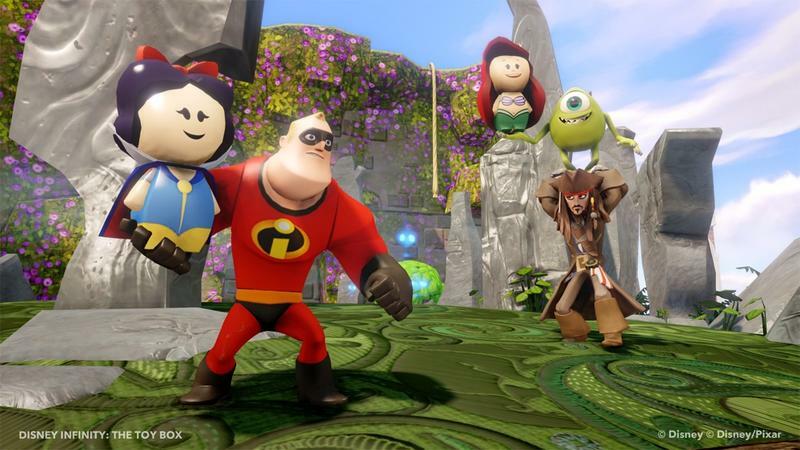 Yes, the Toy Box is a Disney fan's dream come true. You can have any character interact with this world, and you can bring in aspects of numerous other films as well. 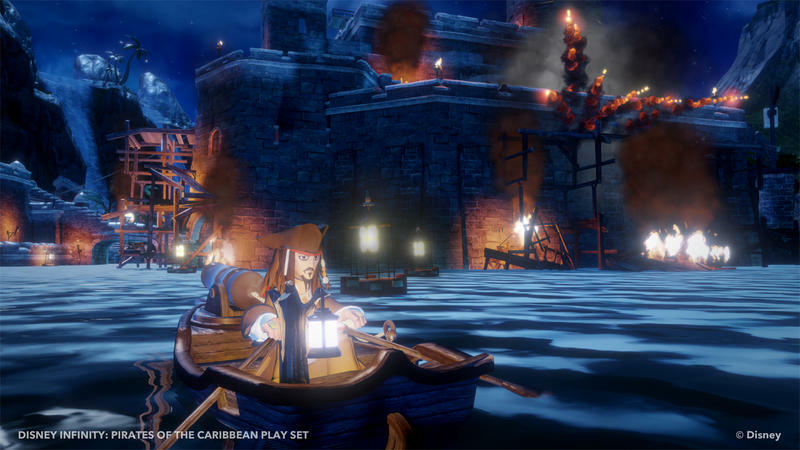 I picked up a few discs, and seeing Jack Sparrow driving Cinderella's carriage is just oddly fun. And while we talk about how much this could potentially cost, I have to tip my hat to Disney for allowing you to earn spins to win free decorations. They have Condorman's wings in the Toy Box for crying out loud. Who, besides me, even remembers Condorman? When I learned those were in there, I geeked out so badly, and now I just have to keep playing to earn them. So, yes, the Toy Box could push me easily in to this being a must buy for Disney fans. Yep, we pretty much completely agree. 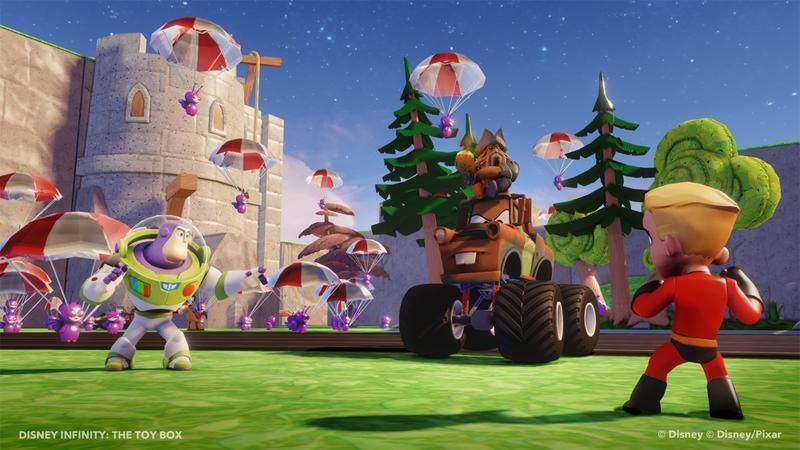 Think of the Toy Box like this: it's a place to build games, start adventures, play with friends and mix and match anything you've purchased or unlocked for the game. It's a solid toolset, and it's one that kids will likely have little trouble understanding and using. The Toy Box, for me, is a slam dunk. It validates spending $12 for a figure and $6 for random Power Discs. You unlock the spins you just mentioned levelling up your characters, so you get more than just a new thing to play the game with when you buy a new figure. There's also cooperative play in the Toy Box. With Play Sets, you're limited to playing with friends only if you have more figures from the same universe. With the Toy Box, mix and match and go absolutely bonkers. The campaigns? Yeah, I could do without them entirely. But, the Toy Box? Disney nailed it. Totally agree. 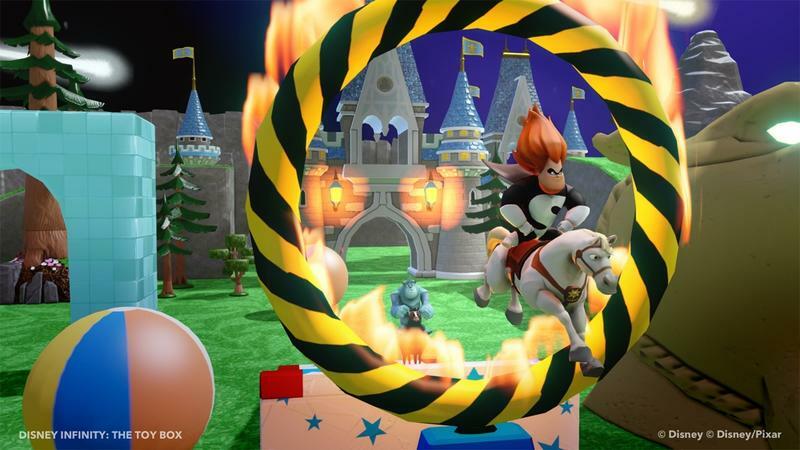 The Toy Box is going to be the number one reason I keep this connected to my Wii U. Sure it may go through periods of being ignored, but when a new figure comes out that I'm excited for, I'll be heading right back in. A few words about console versions. 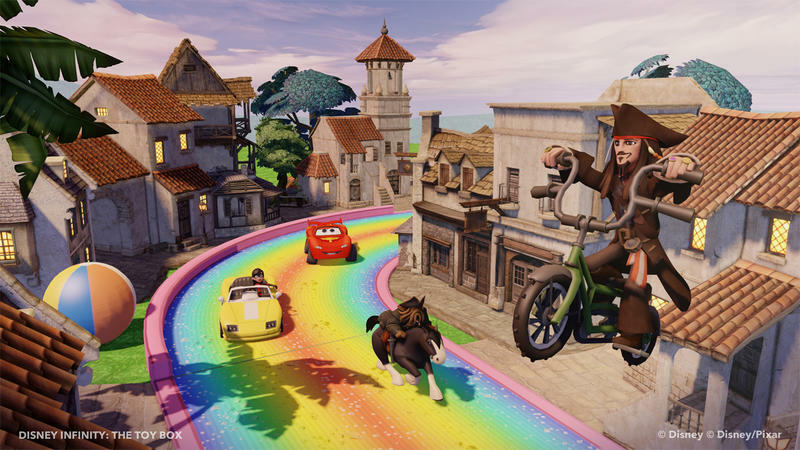 I think we'd be remiss, Sean, if we passed over one of our biggest issues with Disney Infinity. We both picked up the game on the Wii U, and it is absolutely riddled with screen tearing, aural lag, visual stutters and an overall slow performance. I sadly have to agree. I saw numerous issues throughout my playing the campaigns, and they weren't just little visual issues, they were blatant, in your face issues. I'm not sure if this caused by the Wii U, or Disney Infinity but I'm definitely hoping for some software updates in the near future. Right, I have to caution the readers that, unfortunately, significant problems have been reported for both the Wii U and PlayStation 3 versions of this game. 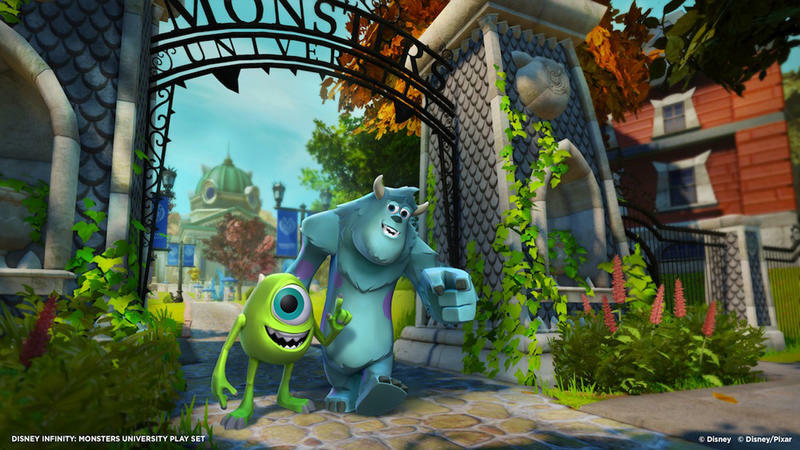 That may change as Disney issues patches and updates; but, the Xbox 360 version seems like the one to go with. Are we feeling the Disney magic here? Sean, Disney is special, in my opinion, because they always have a certain air and quality about their products. Whether it's the parks, the films, the cartoons, the toys or, at least 20 years ago, the games, there's always this nice layer of Disney magic. 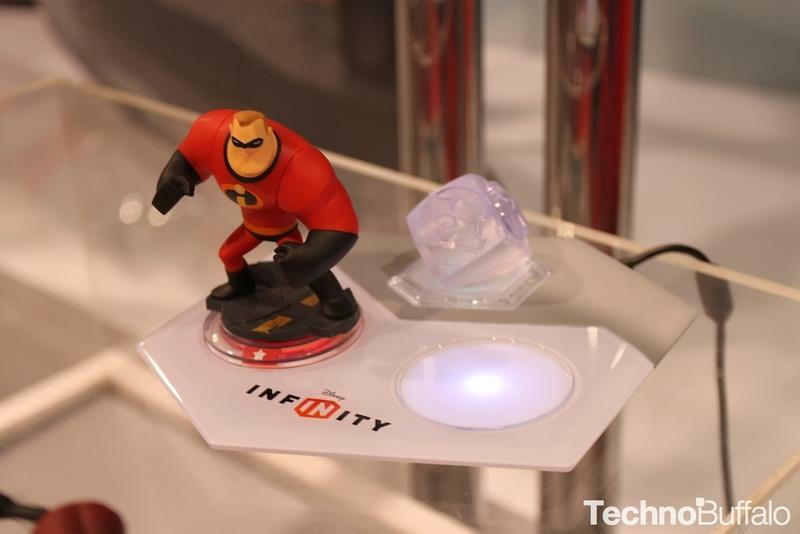 Do you feel it with Disney Infinity? Does it live up to the brand and history of its master? Yes and no. My only concern at the moment is that there seems to be no focus on the classic Disney brands. I know that Fantasia is being added in 2014, but Disney will need to bring out some more classic aspects of its history for me to see this as more than just a promotional tool for the latest theatrical and home video releases. I know we'll get there, but I just wonder how much of it we'll see. And I would also have to admit I'm a little scared of that time as well. If Disney brings in The Muppets, Star Wars and Marvel Comics into this? That's it, I'm going to the poor house. But yes, the potential for the Disney magic is there, I just don't think it's arrived quite yet. Perfect. There were sparkles of magic, moments of clarity and notions of brilliance. I'm not sold on the price or the Play Sets elements of this formula. But, the Toy Box and promise of bringing in more franchises? 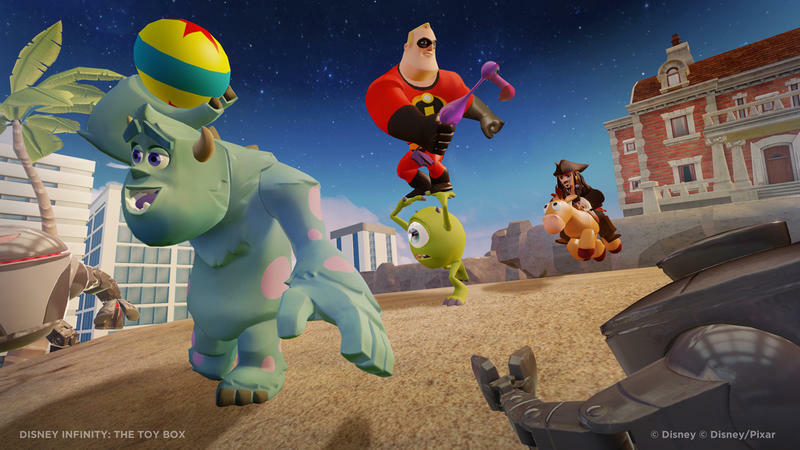 Disney has a money making machine on its hands with Disney Infinity, but it will take some time for it to realize its full potential. 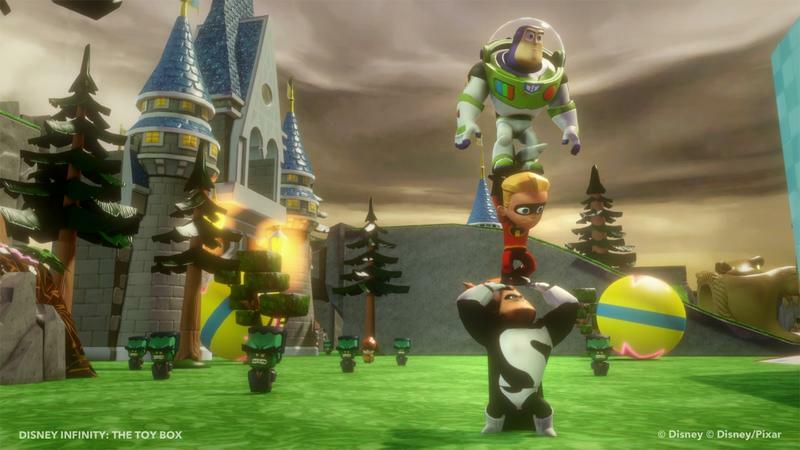 Disney Infinity isn't really a great game in the strictest sense of the medium. Its campaign elements are lackluster, and there's a lot that gets in the way of having fun with the franchise specific modes of play. However, the Toy Box mode is this packages real bread and butter. 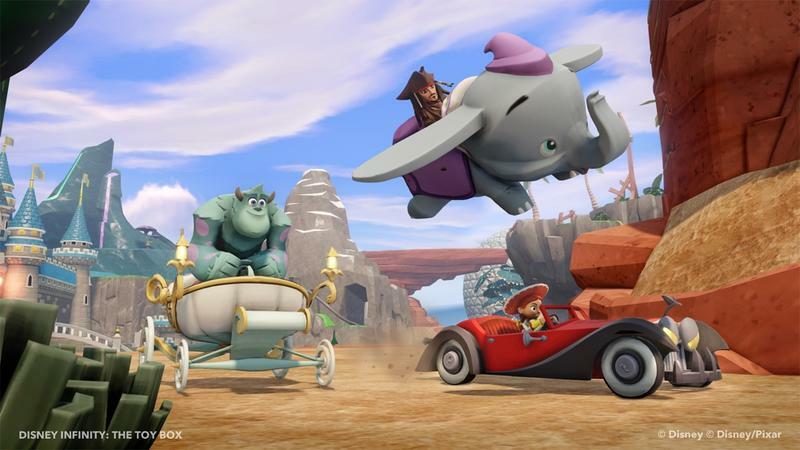 Mixing and matching characters and themes from all of Disney's distinct universes will make even the most modest of Disney fans grin. It's a joy to do it, and it just about validates the steep barrier for entry that comes from the price. It's expensive; but, if you're looking to satisfy the gaming, collecting and free time needs of a Disney lover, old or young, in your house, it's a decent option. If Disney sticks with it over time, it's only going to get better. 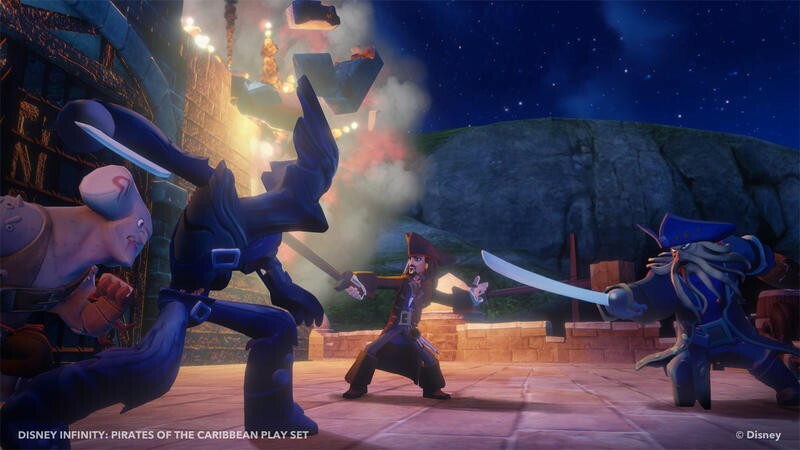 We purchased one copy of Disney Infinity with personal funds, and another was sent to us directly from Disney nearly a week after the game's launch. Both games were for the Wii U. 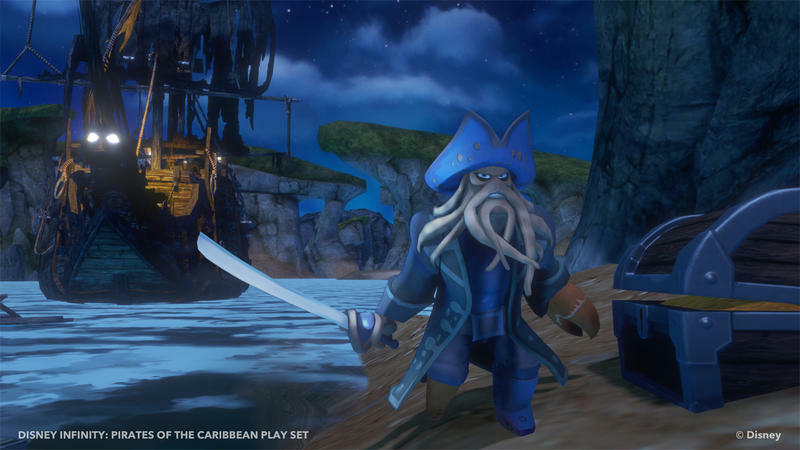 We played the three campaigns and sunk time into the Toy Box mode before starting this review.